Les Mills is pleased to announce that from 1 October 2016 Les Mills products and services will be distributed by Les Mills Middle East, a newly established subsidiary of Les Mills International. Previously, MEFITPRO had handled this distribution. MEFITPRO and Les Mills International have been business partners for many years, and are excited about future partnerships in the region. Ph. +971 4 556 1470 (outside UAE) or 04 556 1470 (within UAE). Les Mills International is announcing the establishment of Les Mills Middle East as a subsidiary of Les Mills United Kingdom. As of October 1 2016, Les Mills Middle East will handle all LES MILLS™ products and services in the region. What does this mean for clubs and instructors in the Middle East and India? We are excited to enter this market directly and align the business with our global practices. There will be no immediate changes for you, we will introduce you to the new local team and you will continue to receive a high level of support. In the future we are excited to bring new products to market, such as THE TRIP™, and you can expect to see more of our international presenters and Program Directors at quarterly workshops. This is a very exciting time! 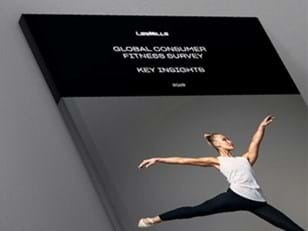 Why is Les Mills replacing MEFITPRO as distributor? Les Mills wants to establish a direct relationship with clubs and instructors in the Middle East and India (as we have in many other countries). From operating in different countries around the world we have developed a strong distribution model that we believe can enhance your Les Mills experience. MEFITPRO has been a strong partner of Les Mills for many years, and we look forward to future partnerships in the region. Who will be responsible for training instructors? We will be using existing trainers and will be running Trainer Boot Camps in the coming months to continue our growth in this key market. You can find Middle East training dates here and training dates for India here. Will Les Mills Middle East be recruiting for new staff in the region? Les Mills is always looking for passionate, committed people to become part of the Les Mills Tribe. Please email us with your resume if you are interested. Who do I contact if I need more information? Please contact the Les Mills Middle East team or via phone on +971 4 556 1470 (outside UAE), 04 556 1470 (within UAE), or 0 8588837050 (India). You do not need to do anything before 1 October 2016, at which point your instructor agreement and certifications will be transferred to Les Mills Middle East. If you have questions in the meantime, please email us or give us a call on +971 4 556 1470 (outside UAE), 04 556 1470 (within UAE). What happens to my certifications? Your certifications are still valid. You will need to continue to keep your quarterly workshop attendance and music purchases up to date to maintain your certification. Please contact the Les Mills Middle East team if you have any questions about these requirements. How do I purchase my next music kit? Up until 1 October 2016, please order your kits in the same way you always have through MEFITPRO. We will be in touch with further information closer to that time. When is the next quarterly workshop? Please view full training calendar here for updates and we will notify you of how to book in due course. What happens to any trainings I had booked, or any assessments I have pending? If you have trainings booked or assessments currently pending, please discuss these with MEFITPRO. If you had booked a training after 1 October 2016, please contact Les Mills Middle East team. There will be nothing to do as Les Mills Middle East will be honoring your existing terms with MEFITPRO for the license agreement you have in place. You can expect our local team to get in touch soon, to introduce themselves. Please rest assured there will be no immediate changes to your existing agreement or pricing. If you have questions before 1 October 2016, please contact Les Mills Middle East at info.LMME@lesmills.com or give us a call on +971 4 556 1470 (outside UAE), 04 556 1470 (within UAE). What can I expect from working with Les Mills Middle East as a club partner? We expect this change to be a smooth and seamless transition for your team. Les Mills Middle East remains committed to the continuation of high quality customer service, marketing and sales support and instructor training. We will continue to provide you with the best group fitness programming available while strategically partnering with you to help acquire new members, retain existing members and improve the profitability of your business. How will this affect my license fees? We intend to honour your existing club license pricing and we will confirm the new billing details and payment process before 1st October. How will the transition be managed? Both MEFITPRO and the new Les Mills Middle East team are committed to ensuring this transition is smooth for all our customers, instructors and members. We will ensure it is as seamless as possible. What is the upcoming training schedule? Les Mills Middle East will also honour the current 2016 Training Calendar as published by MEFITPRO. You can view it here. If you require any private initial training modules or workshops for your team, please contact Les Mills Middle East. Please keep your eyes on this page for updates. Complete this form to stay in the loop about this announcement. 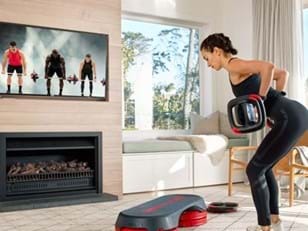 Keep up-to-date with the latest health and fitness info and offers from the Les Mills Group.